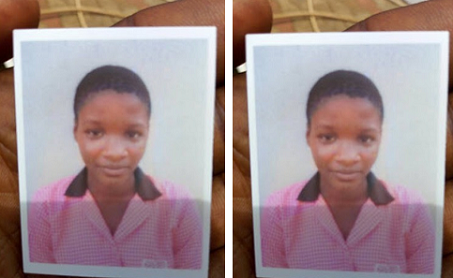 A guard in Igbo Elerin, in the Agbara area of Ogun State, has been picked up by the police for allegedly abducting a 15-year-old Junior Secondary School 2 pupil, Asmau Ajibade. The guard, identified simply as John, was apprehended along with a cobbler, Moses, who lives on Opic Estate, Agbara. The cobbler reportedly connived with John, who kept the girl in his apartment for several days. Punch Metro had reported that Ajibade, who lived with guardians on the estate, disappeared on Monday, September 18, on her way to school around 7.30am. The cobbler, who helped the girl to fix her torn sandal that morning, had told the guardians that she appeared to be in a hurry when she came to fix the sandal. Records of the school, Agbara Community Junior Secondary School, also indicated that she was absent on that day. The case was reported at the Agbara Police Division. It was, however, said the girl was found in Oko Afo, Badagry, last Saturday by a family friend of the guardians. One of the guardians, Alhaji Rauf Adetona, said Ajibade confessed that it was the cobbler who hooked her up with John, adding that she spent four days with the lover. He said, “When the cobbler saw your report on her disappearance, he informed John. When John tried to return her to the estate, she fled. She spent four days with John. We found her school uniform with John. “A family friend saw her in Oko Afo, Badagry, and called us. She wanted to run away from him because she knows him. But the man lied to her that he would never tell us. “They agreed to meet somewhere in the community the following day and that was how we found her. The Ogun State Police Public Relations Officer, ASP Abimbola Oyeyemi, confirmed John and Moses’ arrest. “The girl has been reunited with her guardians and the suspects arrested. They will be arraigned for abduction,” he added.